What is a real property tax lien certificate? 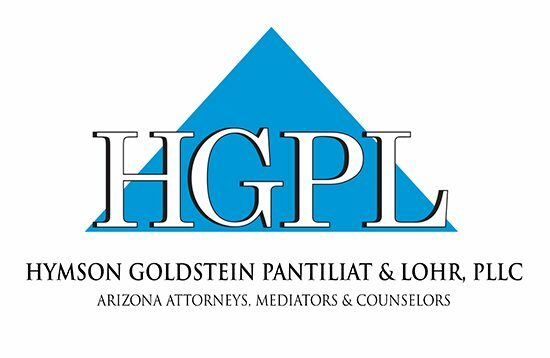 When people do not pay the real property taxes on their homes, vacant land and/or commercial buildings, Arizona law allows the county governments to lien the real property for the unpaid taxes- in effect placing a mortgage on the property for payment of the unpaid taxes. If those taxes are not paid for three years, the counties will auction off the tax lien to investors. Arizona allows investors to purchase unpaid real property taxes from counties as an investment in the form of tax lien certificates on real property. How can I purchase tax lien certificates? Every year, the counties have auctions to sell unpaid property tax liens. For example, Maricopa County conducts its on-line auction in February of each year. Some counties may have left over tax lien certificates that they sell outside of the auction. The way the auction works is an investor bids on the interest rate on the tax lien. Arizona law allows an investor to receive up to 16% interest per annum on the tax lien certificate. The bidder with the lowest bid on the interest rate wins the auction on each lien. If you are the successful bidder, you pay the outstanding taxes and receive a tax lien certificate. In order for the property owner to redeem the tax lien certificate, the property owner must pay the taxes plus the 16% interest. From this redemption amount, the investor receives the investment back plus the interest rate that he bid at the auction and the county receives the remainder interest. In the event that the property owner does not redeem the tax lien certificate within three years of the purchase of the tax lien certificate, the investor has the right to foreclose the tax lien certificate by filing a judicial foreclosure lawsuit. What is the process to foreclose my tax lien? To obtain the deed on your tax lien certificate, you must follow a three-step process. The first step is to send a 30-day demand letter that meets all of the statutory requirements. We can help you draft a demand and send a demand letter that meets all of the statutory requirements. If the taxes are not paid 30 days after sending the demand letter, the second step is to file the foreclosure lawsuit to foreclosure the lien. We have several trained and experienced litigators who are competent in these cases to assist you navigate through the courts. Once a Judgment is obtained in the lawsuit, we submit the Judgment to the County to obtain a deed in your name that we will record for you. Once recorded, you are the owner of the property and you wipe out the prior owner’s interest and any liens on the property provided you gave them proper notice of the lawsuit. An additional step may be to remove the prior owner if the prior owner does not voluntarily leave the property. This is called a forcible detainer/special detainer, more commonly known as an eviction action. We have several attorneys that can also assist you with the eviction process. Request for Deed: 7 to 10 days. I own more than one tax lien on the same property. Which ones can I foreclose? You have to wait three years after you buy the tax lien certificates to foreclose. That would mean that as of 2016, you can foreclosure any tax lien certificate purchased in 2013. However, if you buy subsequent tax liens on the same property, you have the right to foreclose all of those tax liens. In fact, the counties normally will not just take a partial payment for only one tax year if all remaining tax liens are purchased by the same investor. What percentages of the liens go all the way and actually obtain a deed? Unfortunately, the percentage is pretty low. Each county should have accurate statistics but probably only about 10% to 15% of all tax lien certificates result in a tax lien foreclosure. Most debtors (or if the debtor has a mortgage, the lender) actually pay their taxes after receiving either the demand letter or after service of the lawsuit. But, if they do not pay those taxes, the investment you made can be quite rewarding. Can I recover my attorneys’ fees and costs? Most likely you will recover most if not all of your fees and costs. Our experience so far is that we have collected 90% of our clients’ fees and costs. The statutes do allow for a recovery of the attorneys’ fees after the lien foreclosure lawsuit is filed if the property owner redeems the taxes. If the taxpayer pays the taxes directly while the lawsuit is pending, you still have the right to apply to the court for your fees and costs. The Court will issue you a money judgment against the taxpayer to recover those fees and costs. If you obtain the property, you do not have the right to apply for attorneys’ fees and costs but you have the property which value should far exceed the attorneys’ fees and costs that you had to pay. Unfortunately, the lien statutes are silent as to a recovery of attorneys’ fees for sending the 30-day demand letter and there are no cases on point. However, our method is to demand that the taxpayer pay us the taxes, interest and fees directly in the demand letter rather than to the County. Typically, if the taxpayer is going to pay his taxes, he complies with this demand and we recover the clients’ attorneys’ fees and are able to reimburse our client the fees that have been paid to us. Does the foreclosure wipe out other liens? Real Property Tax liens have priority over all other liens on the property, including judgment liens and mortgages. Real Property Tax Liens do not have priority over certain state and possibly federal income tax liens so you would take subject to those liens if they exist. We will determine if there are income tax liens once we obtain a title report before the foreclosure. Real Property Tax liens have the same priority as other Real Property Tax liens, so if there are other property tax years not paid off when you foreclose, you take the property subject to those real property tax liens. If other foreclosure eligible lienholders are noticed in the lawsuit properly and they do not redeem the taxes, they are wiped out in the tax lien foreclosure. Does the foreclosure wipe out easements? Unfortunately, the statutes do not allow the tax lien holder to wipe out easements on the property in most cases. What is the cost to hire you? Our goal is to provide our clients with excellent, reasonable and cost effective representation in these cases. After all, this is was an investment for you, and we would like to help you make money not lose it. In order to accomplish this goal, our attorneys utilize staff consisting of a paralegal, a legal assistant and/or associate attorneys all who bill at reasonable rates to do the drafting of most documents. 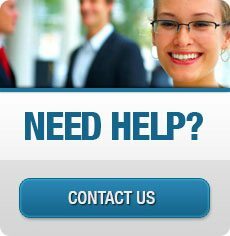 As we have done many tax lien foreclosures for other clients, most of the work is form work that can be completed pretty easily by our staff. John supervises and reviews their work before anything is sent from our office to the debtor or to the court. To begin the 30-day demand letter, we require a $150 advanced deposit on our fees by you. This is not a flat fee but a deposit applied against our hourly rate. In the event that we surpass the advance deposit we request that you pay any additional fees that are incurred. Normally, we do not surpass that fee doing the demand letter. In the event we have a cooperative taxpayer and the matter is resolved before utilizing all of the advance deposit, we return any unused portion of the advanced deposit. We do demand those fees be repaid by the debtor when we send the demand letter as well, and so far we have recovered a majority of the fees our clients have paid to us from the debtors directly. In the event the taxpayer does not pay off the lien after the 30-demand letter, we require an additional $2,400 advance deposit on fees and costs to initiate the foreclosure lawsuit. Unfortunately, most of these costs are fixed costs that we cannot control. For example, we are required to obtain a litigation guarantee from the title company to insure that we are notifying anybody in the chain of title that can be affected by the foreclosure. You need to do this to make sure you obtain good title through the foreclosure. That cost varies depending on the type of property involved but normally is between $300 to $550. In addition, the court has filing fees and we have to hire a process server to serve the complaint which usually costs about $500. If you would like more information on our hourly rates, please do not hesitate to call. When we say that we bill at an hourly rate, that doesn’t mean we pick up the phone or write a letter in 20 minutes and then bill you for an hour. We bill at increments of tenths of an hour. If we work 20 minutes, you only get billed 20 minutes. Most of our business comes from referrals and repeat business because we treat our clients fairly. If we did not treat our clients fairly on fees, we would not be able to keep our clients and obtain referrals from those clients. If the hourly rate does not appeal to you, we may be able to offer alternative fee arrangements such as a contingent fee in limited circumstances or a mixed flat fee with an adjusted hourly rate component. How do I get started? We need to obtain your address, phone number and email to open a file. Once we open the file, we will send you our standard fee agreement. We will need the $150 advanced deposit. Our firm policy prevents us from proceeding until we have the advanced deposit. We also need the taxpayer’s name to run a conflicts check. We can do a preliminary check while we are on the phone. As far as documents, we will need a copy of the tax lien certificate. The County may have only provided you a summary and that is fine too. Also, any information you have regarding the property including parcel number and address and any information you have on the debtor would be helpful too.